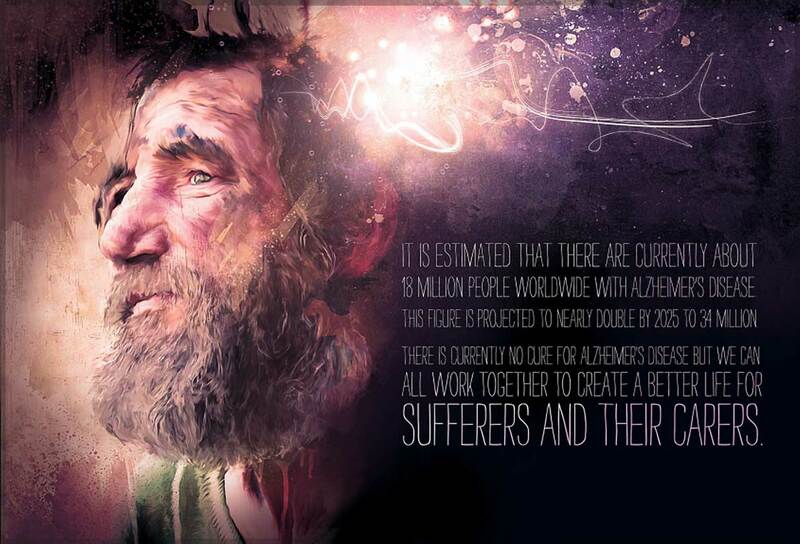 With this entry, I just wanted to highlight the plight of Alzheimers sufferers and their carers. It’s an attempt to visually portray how cruel the condition of Alzheimers can be with the loss of memories and thoughts escaping from the Alzheimer’s sufferers mind. The condition also has a major effect on loved ones and carers, as I have known from first hand experience, so it is something that I feel passionate about.